Renowned for their unique and beautiful beaches, the Gold Coast Beaches stretches from the southern end at Rainbow Bay to South Stradbroke Island in the north. The city of Gold Coast works to manage and protect the coastal assets, so that residents and visitors can enjoy them throughout the year. Australia’s Gold Coast is a modern city of glittering high-rise buildings, built around superb beaches, including the world renowned ‘Surfers Paradise’. Dive into lively nightlife, international theme parks and designer boutiques, see the coast from a Spitfire plane and cheer on competitors in the Coollangatta Ocean Swim. Experience the opulent Palazzo Versace or head to the hinterland for rainforest walks and spa retreats. Discover a city experience while enjoying the beach. Surf, dive or snorkel, explore national parks and the thrills of the many theme parks. Queensland’s Gold Coast has a comfortable sub-tropical climate ideal for outdoor enjoyment all-year round. 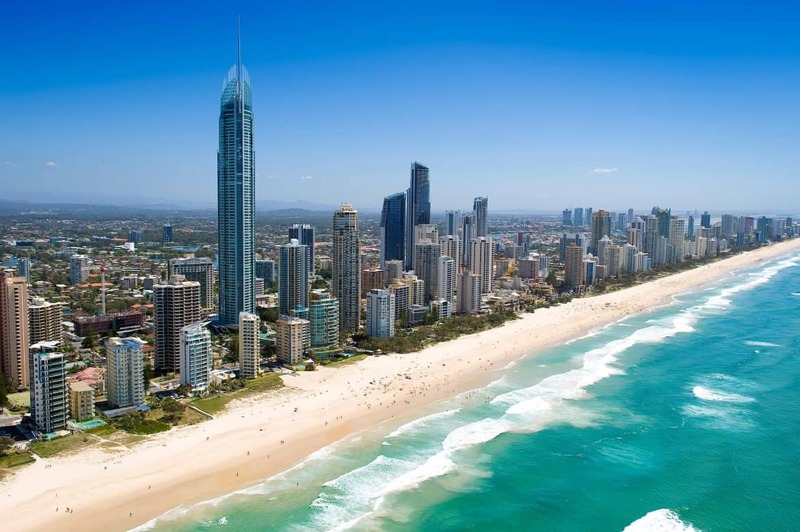 The Gold Coast averages 245 days of fine and sunny weather each year and has an average rainfall of about 1400mm annually, the majority of which falls in the summer period (December – February). Daytime temperatures on the coast are generally in the mid 20°C range. The Hinterland is slightly cooler with maximum winter temperatures around 16°C. In winter, clear skies and dry air mean cool nights. Here you will find some information on temperature, rainfall and seasonal activities to help you plan your Gold Coast holiday. 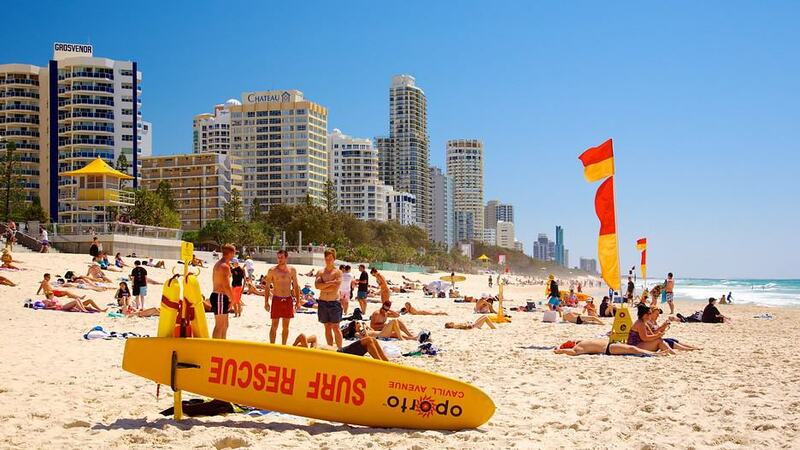 Easily the most famous beach on the Gold Coast, Surfers Paradise is also the most popular and crowded throughout the year due to its close proximity to the main attractions and theme parks, accommodation, nightlife and entertainment hub of the Gold Coast. Surfers’ beach is definitely one of the most beautiful on the Gold Coast and if not, the world,. But conditions for actual surfing are no better (and often far worse) than other Gold Coast-area choices such as Kirra, Duranbah and Burleigh Heads. Being situated a mere 100m walk from a huge range of restaurants, shopping outlets and fast food chains means that what Surfers Paradise beach lacks in big waves it more than makes up for in convenience, and its location near so many resorts and holiday apartment buildings makes it a hugely popular location to while away weekends either lazing on the beach or enjoying the great swimming conditions. 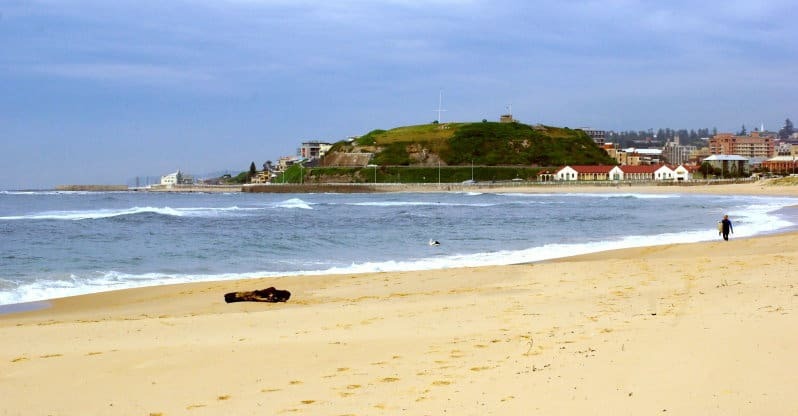 The beach is also regularly and heavily patrolled by Surf Life Saving volunteers, and its foreshore has undergone a major recent redevelopment that has helped spruce up its presentation even more. Much like the city of Surfers Paradise itself, the beach is aimed mainly towards the international, tourist, and “young adult” crowds. Originally named because it was, quite simply, the “Main Beach” for the nearby town of Southport, Main Beach has become a separate suburb due to continued development. It has become a hot spot as the great “chill out” destination due to the many accommodation facilities that sit in close proximity to the water. 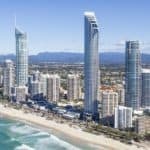 Main Beach is also usually substantially less crowded than its neighboring beaches at Surfers Paradise and Broadbeach, leaving it a more relaxing atmosphere with several nearby restaurants and coffee shops available for use. 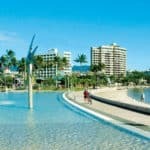 A good choice as a Gold Coast beach destination for families with kids who want to have a fun and peaceful day out at the beach. Broadbeach, located towards the Gold Coast’s northern end, is a suburb that provides a pleasant blend of shopping, upmarket restaurants, low and high rise resort and apartment buildings, as well as being home to three significant Gold Coast facilities – Pacific Fair Shopping Centre, Jupiter’s Casino, and the Gold Coast Convention and Exhibition Centre. The area is home to a long, clean stretch of beach that is easily accessible for both pedestrians and cyclists and is bordered by several large parks that make for great picnic areas. The beach itself is patrolled by staff from the Broadbeach Surf Life Saving Club, and also sits alongside the Broadbeach Surfschool which offers surfing lessons and training. 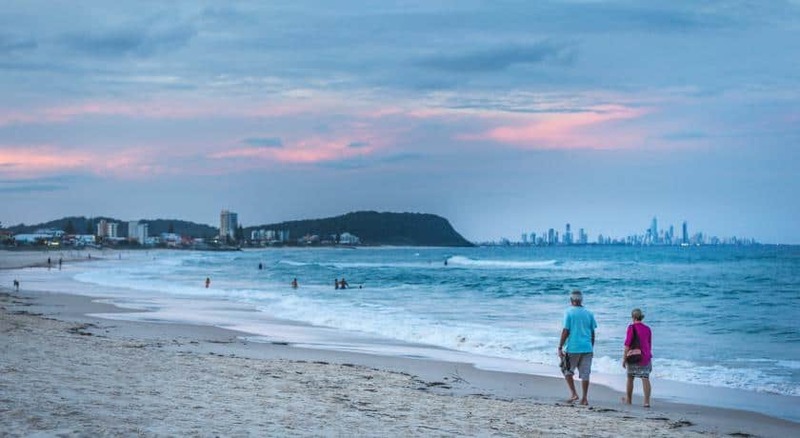 The beaches at Broadbeach, along with the people they attract, are indicative of the suburb itself – slightly more refined and less intense than the crowds at Surfers Paradise yet more upbeat and cosmopolitan than those further to the south of the Gold Coast. 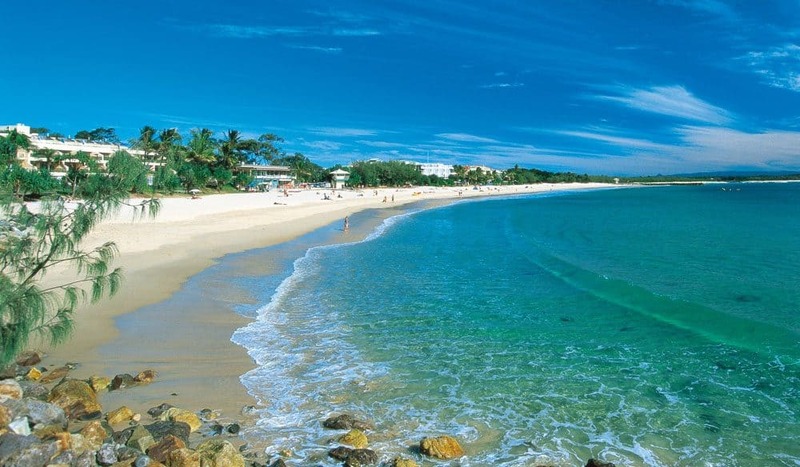 Twice voted to be the cleanest beach in Queensland, the beaches of Palm Beach have little in terms of distinct features to distinguish them from any other on the Gold Coast, yet provide a reliable, comfortable and often uncrowded option for a day of both swimming and relaxation. Because area is less developed and built up as opposed to some of its northern counterparts, Palm Beach beaches are popular with families, body boarders and walkers – especially those with dogs. You can also take an extended walk through the nature areas which extend along this stretch of the Gold Coast, being able to follow the boardwalk all the way through to the Burleigh Heads National Park. There are also playgrounds and parks dotted along the span of Palm Beach that prove popular with kids as well as families who want to have a picnic due to the large number of picnic tables, seats and barbecues available for public use. 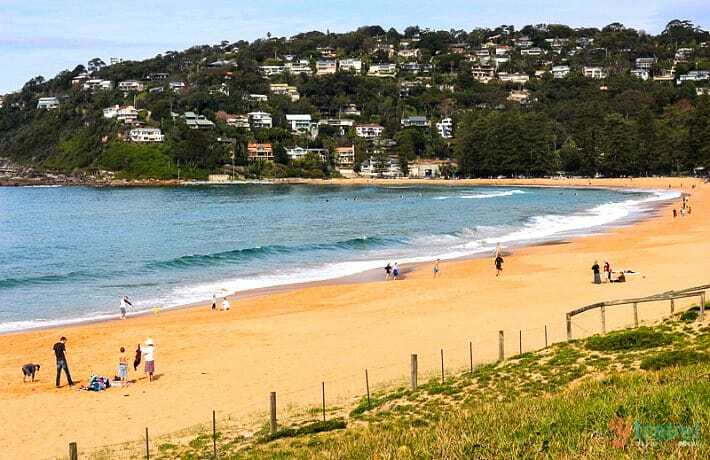 Nobby Beach in the suburb of Mermaid Beach is a secluded, quiet beach that offers a fairly substantial amount of parking bordered by a large park which provides a nice area for both adults and children to relax. Decent surfing is also offered with good waves appearing on a clean, easterly swell – surfers simply need to find a good bank or surf the shore break on the high tide in order to receive a powerful, clean ride. Fishing is also a popular and viable activity to visitors to Nobby Beach – aspiring fishers can search out a deep gutter and wet a line for some quality catches of bream, dart and whiting that can be found all year round. Lastly, families may enjoy a tranquil walk in either direction along the quiet beachfront, with a spectacular sunrise offered at dawn over the sea for the early riser. Kirra Point’s small rocky headland serves to separate Kirra Beach on the North from the main Coolangatta beach to the south, and is often regarded as one of the world’s premier surf breaks, with multiple surfing competitions – both professional and amateur – held here throughout the year. With some of the best and most diverse surfing conditions along the Gold Coast, smaller surf can be found closer to the shore that is ideal for both swimming and beginning board riders, while outside the flags there are more challenging surf breaks further out that can sometimes become crowded due to their popularity with surfers. Another reason to visit Kirra Beach is not only the beach itself, but also the range of beautiful Gold Coast scenery that it has to offer with scenic footpaths, headland, golden sand and greenery all combining to make it a picturesque locale. Duranbah, or “D-Bah” as it is known by the locals, is one of the world’s best-known surfing beaches, with suitable surf in most conditions as the swell can get quite big. Families looking for a swim would be advised to stay away – the beach itself isn’t anything amazing and it’s all about the waves at Duranbah. With plenty of space for both body boarders and short boards to reach the great sets rolling in, be sure to check out D-Bah if you’re looking for a surfing destination on the Gold Coast and feel confident in your abilities. As an added bonus for families, the Point Danger lookout which overlooks Duranbah and down further along the coast provides an amazing view and destination for a walk in the daily sunshine. 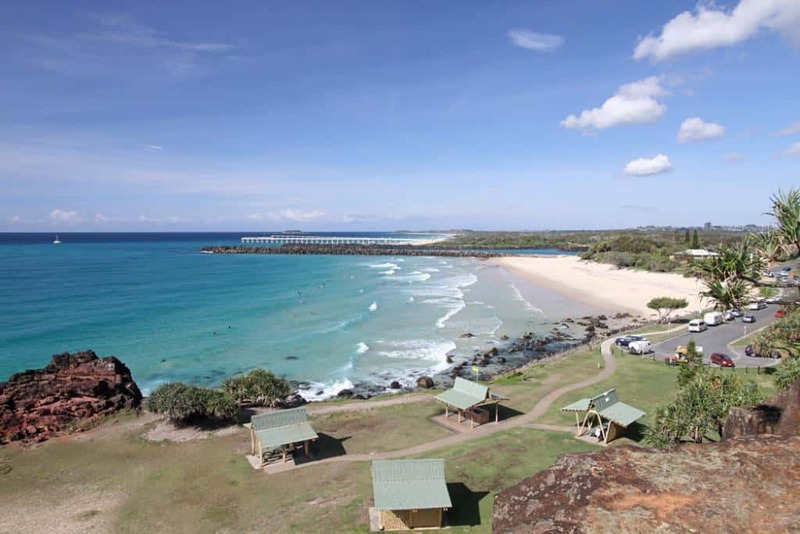 Currumbin’s beaches form a lovely balance between a family destination – with sheltered off, shark-netted swimming areas and nearby parks ideal for barbecues – with a great spot for surfers and other watersports enthusiasts offered by Currumbin Alley. Affectionately dubbed simply “The Alley”, it is a surf break that can often be crowded due to it being surfable in almost any conditions – long-boarders will delight in the smaller days, while other surfers will be able to take advantage of some great right-hand waves available towards the point. Relatively fast, long waves can be caught when the swell is up that are perfect for lots of turns while also being relatively forgiving. Many surfing lesson schools are also in operation on weekends in the area which can prove both a benefit to beginners and a hazard to surfing veterans. 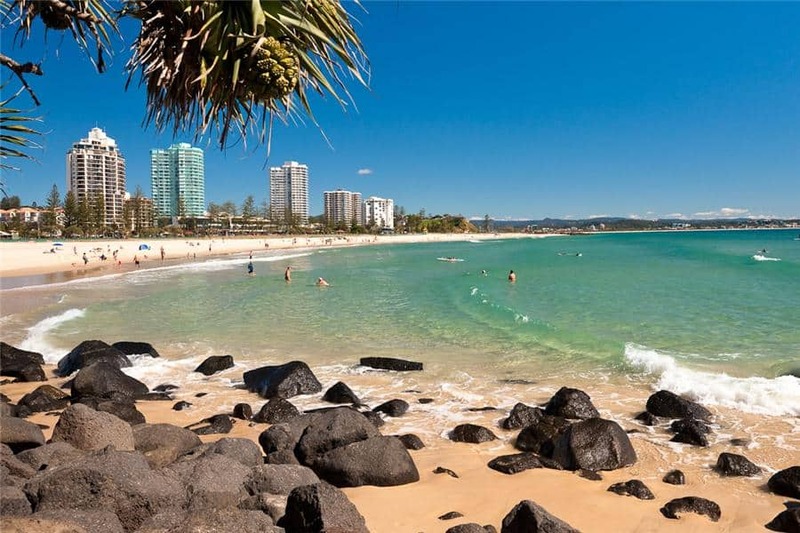 Acting as the initial symbol many international and interstate visitors will have upon arriving at the Gold Coast by plane, Coolangatta is the area where the main stretch of continuous beach that reaches up to Main Beach in the north begins. 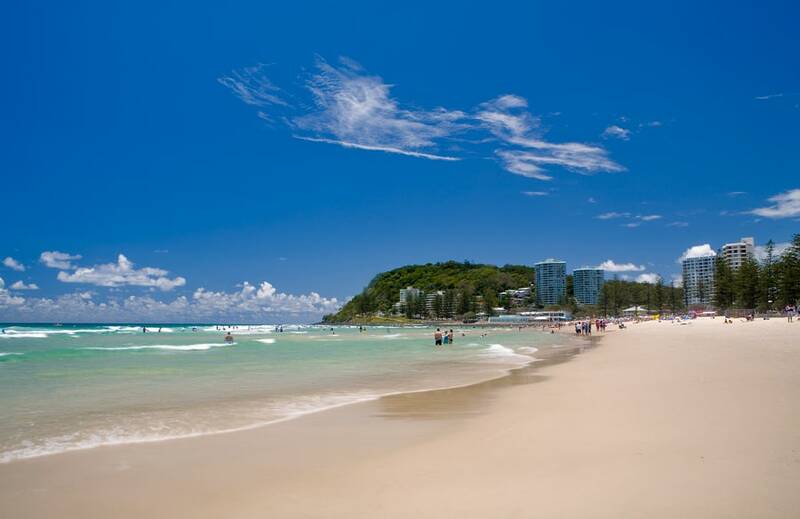 Its two main beaches – Greenmount Beach and Rainbow Bay – are the Gold Coast’s only north-facing beaches which helps to provide excellent, sheltered conditions that are ideal for swimming. A stroll around the point to nearby Snapper Rocks can also give you an increased chance of seeing whales passing on their annual migration throughout the year’s cooler months. Greenmount Point is a piece of coastal headland which serves to separate the main Coolangatta stretch of beach to the north with Rainbow Bay to the south, and makes for a great, picturesque vantage point to take in the coastal scenery. While Coolangatta’s beaches are great for swimming, they are not the best for those looking for wave breaks for surfing, so aspiring surfers would be best served looking elsewhere, particularly the nearby Duranbah and Kirra beaches – two of the surfing hotspots of the entire Gold Coast. Always a popular surfing destination due to its widely renowned surf break, Burleigh Heads and the point which is a hotspot for weekend barbecues and picnics due to its large, scenic park which overlooks the ocean. Providing a good alternative to the more tourist-populated suburbs of the Gold Coast, Burleigh’s beaches can also draw significant numbers, especially when the surf is up and spectators as well as participants may appear. Burleigh provides a pleasant beach atmosphere that is protected by the point to the south and offers one of the best all-round swimming, body boarding and surfing beaches on the Gold Coast, which is also reflected in the fact that the Quicksilver Pro professional surfing contest is often held at Burleigh Heads when the conditions are not suitable at other alternatives such as Kirra. Of course you would expect some awesome beaches in Australia. It is an island after all. I would love to visit Australia but I would be more interested in the outback adventures, while my wife would be at all of these beaches. I have been to New Zealand and it also has amazing beaches. I could use a nice relaxing beach vacation so Australia is on my list. Thanks for this awesome review with great pictures. Good Curtis, I think there is something for everyone here for sure. You can’t expect nothing less than gorgeous beaches in Australia, along with plenty of adventure! Thanks for visiting Gold Coast Beaches! You did pick the right beaches! And nothing beats the Gold Coast of Australia. Your kids will have a blast. Thanks for reading about Gold Coast Beaches! Wonderful article! Very well done and very helpful for me. I was just talking this morning about needing to book a vacation. Keep up the good work! I will JP and thank you for visiting BeachTravelDestinations.com. The Gold Coast Beaches of Australia are wonderful! Amazing website! So much information here and since I am a beach fanatic, I love it. My wife and I stay in Mexico a couple months a year north of Puerto Vallarta. I look forward to exploring the many destinations you have listed so well if not physically at least through your site. Thanks so much. Definitely a good one to bookmark for myself. I am glad you are enjoying going thru my site Michael. Yes, I am a beach fanatic too…as if you couldn’t tell. Thank you for reading about Gold Coast Beaches in Australia. Ahh I want to go to Australia so bad! Never been but it’s on my top 5 travel destinations. I’m definitely going to bookmark this page, all these beaches look amazing and I can’t wait to try all of them! Thanks for sharing! You are so welcome Will! There are so many Gold Coast beaches to chose from for sure. I like the idea of trying them all 🙂 Thanks for visiting BeachTravelDestinations.com! Amazing writing and so accurate. I’m from the UK and I’ve got family living out there and reading this gives me even more purpose to head back out. Currently in the Philippines and just started planning my trip. I would love to go to the Palm Beach. I prefer when beaches are nearly empty or totally empty rather than crowded. 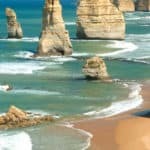 Great collection of beaches and their reviews. I think all of them are worth visiting. They are all definitely worth visiting Jolita! 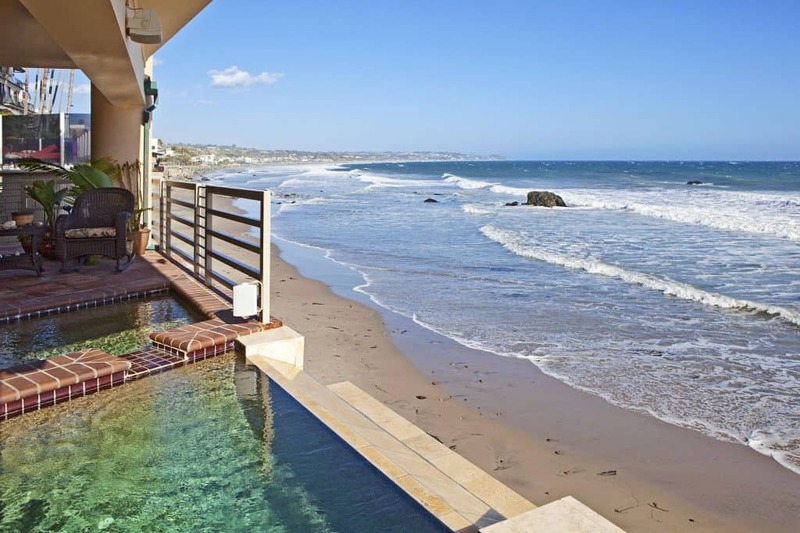 I can definitely see myself lounging in a beach chair on the less crowded beaches you have talked about. Australia has bee on my bucket list for quite awhile now and hoping some day I will get to travel there. Everything looks so clean and pristine looking. The only thing I worry about is I have heard they have some very terrifying spiders and snakes. Is that true? I have not heard that or read about that but I am going to look into that and let you know. I actually forgot to mention something in the first comment I left you. I know you said a little later on in your article that Australia’s coasts are a surfer’s paradise. That sounds really cool, but I am new to surfing. Do you know of any good surfing instruction companies on the Australian coast that would take a complete beginner? Eagerly looking forward to your response! There are lots of them. Let me get the information and I will get it to you! 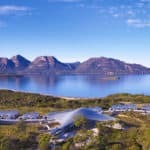 I think that this is a great website and I always love reading your content because Australia is at the top of my list for places that I’m going to visit in the very near future. I always enjoy the images on your site as well because they are so vivid and really paint a picture of what it is like to be in Australia. 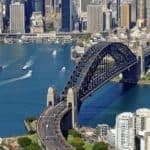 What is in your opinion, is the number one location to visit in Australia? Great post! Looking to hear more from you soon. Awesome site matts mom!, i live down here in Melbourne and every Christmas holidays we travel up to the gold coast for a holiday. The beaches you guys have are spectacular! the people and the all round vibe is really positive. Honestly i would love to escape the Melbourne weather and live near Burleigh heads. Just because of the surf. 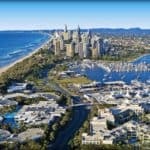 As a beach and travel enthusiast, I absolutely fell in love with this post of the Gold Coast Beaches. While I have yet to make it to Australia, I plan on taking an 11-day vacation there in the first quarter of 2018. I’ll likely visit the Greenmount Beach and Rainbow Bay areas, since I’ll be bringing the children along with me. Thanks for the info. I’ll be sure to check out your blog more often too. Thank you for looking Nerissa. I am glad I could provide you with good information! Great Site! 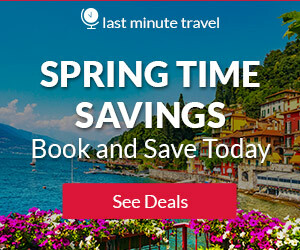 This site has everything you need for an awesome vacation! I personally have never been to Australia,but after visiting your website, ill definitely be adding that country to one of the destinations on my bucket list, such beautiful beaches. Again, very cool site. Thank you so much Patrice for visiting!